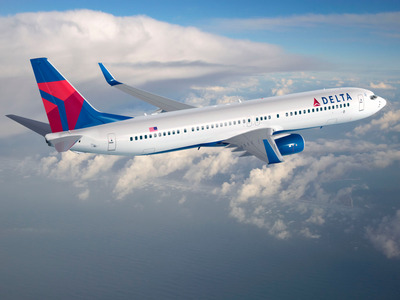 Delta Air Lines Flight 589 was forced to make an emergency landing on Tuesday after suffering what officials called a broken windshield shortly after takeoff from Minneapolis-St. Paul International Airport (MSP). No injuries have been reported among the 169 passengers on board the flight. A Delta Air Lines flight was forced to make an emergency landing on Tuesday after suffering a broken windshield shortly after takeoff from Minneapolis-St. Paul International Airport (MSP). In a statement to Business Insider, Delta Air Lines confirmed that there was an “issue with the First Officer’s window seal.” However, the Atlanta-based carrier declined to go into detail on the exact nature of or the severity of the issue. Minneapolis-St. Paul International Airport officials were not immediately available for comment. But airport officials told the Minneapolis Star Tribune that the flight suffered a broken cockpit window. According to FlightAware, Delta Flight 589 took off from Minneapolis at 11:23 am local time en route to Seattle, Washington. But, the Boeing 737-900 turned back just 13 minutes after taking off and landed safely back in Minneapolis a few minutes later after air traffic control declared an emergency to clear the path for the jet. The Delta incident occurred just days after an Icelandair flight en route from Orlando to Reykjavik, Iceland was forced to make an emergency landing in Canada after pilots discovered a crack in the Boeing 757’s windshield. No injuries were reported in that incident either.